March of Dimes is an organization that helps to raise money for lifesaving research and programs and works to end premature birth, birth defects and infant mortality. They have helped to reduce the U.S. preterm birth rate in the last 7 years and have saved about $12 billion in health care costs. Donations help to provide education to parents on vaccinations, increase access to prenatal care with mobile clinics and transportation to doctors, help with substance abuse, fighting for better newborn screening in each state, provide information on pregnancy and delivery and help get better healthcare coverage. There are a couple of reasons that March of Dimes is particularly important to me. 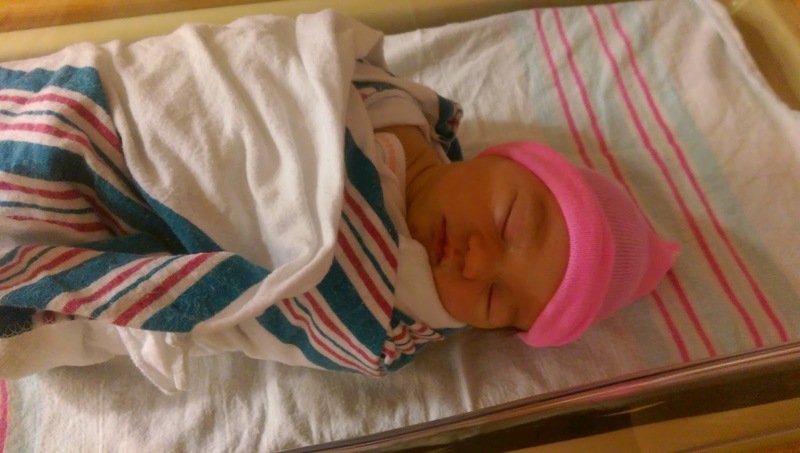 We were very fortunate that Adalyn was not born prematurely. I was definitely worried that she would be born premature because I was born a month too early as were my siblings. We are thankful that she was not born early. One of the reasons that March of Dimes is important to me is because I cannot imagine what people have to go through who have a very sick baby that was born too early or has birth defects. Everyone wants their child to be born perfectly and when they are not, I'm sure it would be horrible. I think that it is an amazing cause to help donate to to help with lifesaving research to help babies. The other reason that March of Dimes is particularly important to me is like I said, I was born a month early. I had a hole in my lung and was on life support for 10 days. Luckily, I do not have any side effects from being born early now but for my parents at that time, it was an awful thing to have to go through not knowing if their child was going to make it. Adalyn is literally everything to me and if anything were to happen to her, I do not know what I would do. Kmart which is a top fundraiser for March of Dimes recently paired up with Jillian Michaels for their 2015 campaign. I am a fan of the Jillian Michaels workout DVDs and think that she is a great motivator. The money that is raised with help support scientists that are working to discover the causes of premature birth and develop treatments for issues. 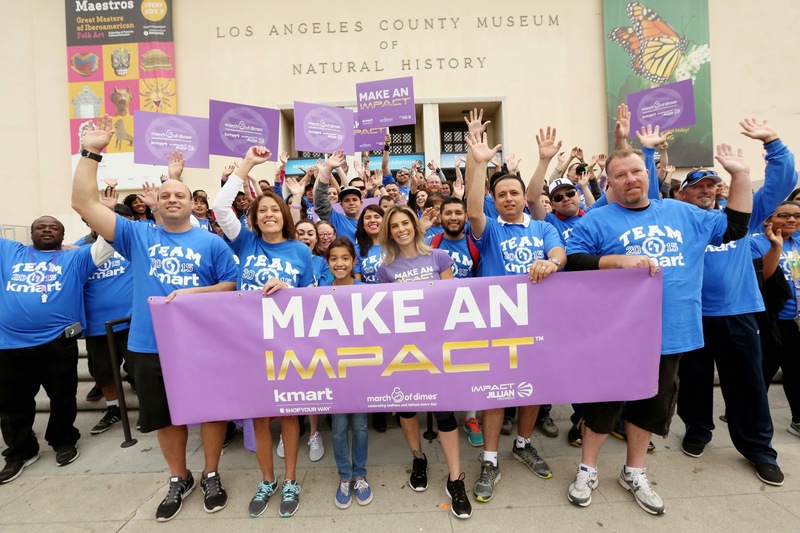 This is the 32nd year that Kmart has helped to support March of Dimes and the 23rd year that it is a sponsor of the annual March for Babies® walks which is taking place in 700 different locations all around the country. They have raise more than $125 million over 31 years! You can donate to March of Dimes at Kmart.com/MarchofDimes online or in-store at checkout. Now through June 20th, Shop Your Way members and Kmart customers can also contribute by purchasing Kmart's collectible puppy figurine in-store or online for just $5 and $1 from each sale will be given to March of Dimes. As a thank you to Shop Your Way members, through June 20, members who give will get a coupon for 5% back in points on their next purchase. The giveaway will be for an exclusively designed Jillian Michaels March of Dimes t-shirt to 2 lucky winners! To enter: Just leave a comment on this post telling me if you have a connection to March of Dimes. Giveaway ends 5/7 at midnight. Contest entrants are only eligible to win once per sweepstakes, per household as part of a campaign sponsored by Influence Central. I have donated to the March of Dimes, but thankfully I do not have any person experiences with need their help. I have donated in the past, and I love what the organization is all about! Sadly, I don't have any connection. I think my only connection is that I grew up seeing the dime banks my mother and her siblings used to pass around at their church, school, etc. for the March of Dimes. They did literally collect dimes! No connections but a great cause indeed! I have volunteered and participated in a few of their local walks! I'm ultra glad I did, because my best friend just gave birth to a 30 week preemie, who will stay in the NICU til late June. 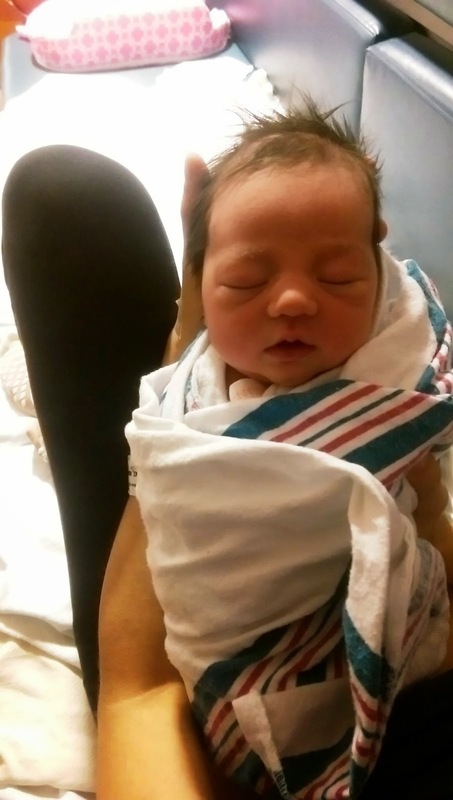 It breaks my heart that my friend has to leave the hospital every night without her daughter. Therefore I will always support the work of March for Dimes! My son helped out each year as a boyscout to the March of Dimes walk-a-thon. No connection, but it's a great cause! I can relate as my second daughter was born 6 weeks early. It was a scary time but she is almost 13 and very healthy. I have donated in the past. My twin brother and I were born at 6 months (24 weeks old) in the 80's....so we are true blessings. Medical technology has advanced a lot since then. March of Dimes continues to help and support others for prevention and helping others with premature birth which is great. I don't have any connection to March of Dimes, but I love that they are trying to help the tiniest little babies. I donated a few years ago and it's an amazing cause! My family has donated to this amazing organization! I have donated to this organization and I plan to do a walk soon! I have both donated and participated in walks. I know it was created to combat polio. My father had a friend who was severely disabled by polio. I'm glad that it's no longer and issue. The march of dimes is a great organization!